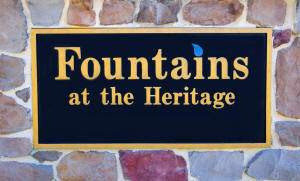 Fountains at the Heritage is a luxury condominium located in York PA in Springettsbury Township. 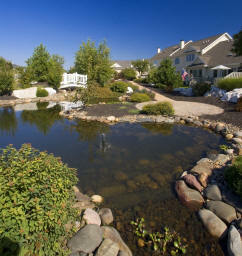 It features 50 luxury townhomes which include stone & vinyl facades, vaulted ceilings, two car garages, first floor living, exterior maintenance and a common area with a freshwater pond surrounded by exquisite landscaping and walking bridges. Construction began in 2002 and the last home sale was completed in 2005. 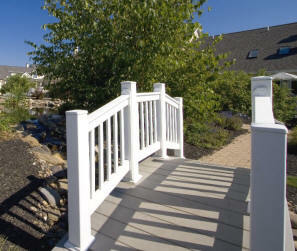 Home prices were in the range of $160,000 - $340,000. Copyright Millfield Construction Company - All rights reserved.